A quick look at the numerous diseases carried and transmitted by rodents will have you convinced that this issue is one you need to take seriously. In addition to being nasty and irritating, rats do pose a serious risk to your health. You could contract the bacterial disease leptospirosis, get rat-bit fever, or even salmonellosis. A Florida rat is not a problem that it’s healthy and safe to have for long. You need to find reliable professional removal services to get rid of them for good. But what are the most common types of rats in Florida? More importantly, what should you do in order to get rid of them? Also known as roof rats, palm rats are among the most common types of rats in Florida. They’re so named because, frighteningly, they are able to climb trees with ease. They enjoy eating fruits that trees provide them with, and they especially thrive in Florida’s warm climate. You can tell these rats apart from other kinds because they’re darker on the outside, but have a lighter underbelly. They’re usually anywhere from 12-14 inches in length. These pesky rodents especially love to go after the wiring in your home. They’ll also search your garden and trash for food, and might even end up short-circuiting some of your electronics. In addition to trees, the also love the roofs of your home. This is because, believe it or not, they actually ear your roof tile sealant. This, in addition to damaging your roof, also makes it easy for them to get inside. You might also have the unpleasant experience of encountering a wood rat in Florida. They can get up to seven inches long, and they even look a bit like hamsters. In some cases, they may even have a bit of a bushy tail. As with roof rats, wood rats also love to go through your trash and destroy your gardens. Oddly, however, wood rats also steal small and lightweight items and foodstuffs from your home. This is how they got their other name — pack rats. So, if you’ve noticed that things seem to be going missing in your home, you may be dealing with this rodent. You may also notice strange, small collections of pieces of tiny trash throughout the home or even in your garden. In spite of what the name may suggest, Norway rats feel right at home in Florida. Unlike some of the other fruit rats Florida has, these kinds of rats actually spend most of their time outside. This means that they’re especially well-known for wrecking havoc on your lawn and garden. You might initially think your garden has some sort of a bug infestation. They also enjoy spending time in your basement. This is because they’re known for burrowing. 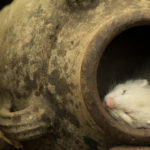 Unlike the other rats on this list, it may take some time for you to spot a Norway rat in your home. This is because they prefer to come out only at night. However, many homeowners are startled to find that it’s actually the Norway rat that’s to blame. These rats carry some fairly serious diseases — as all the other rats on this list do, too. They transmit dangerous pathogens to humans that can cause nausea, disease, and even more serious issues. And while these rats have a short lifespan? They reproduce at an alarmingly rapid rate. This is why it’s so important to take the issue of a rat infestation seriously right from the start. 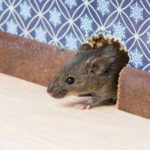 Whether you want to get rid of roof rats Florida or another kind of rat, you first need to know the signs of an infestation. Of course, the clearest sign is the presence of rat droppings. You may be able to hear these rats chewing and scurrying throughout your home. Less obvious signs include gnaw marks, trails of grease or crumbs, and even fruit with holes in it. You should also rely on your pets to hint that you have a problem. They may become especially agitated because your pets can hear these rats in your walls — even if you can’t. So, what should you do to get rid of these annoying and dangerous pests? Honestly, this is the type of thing that’s best left to a professional. This ensures that the job is done correctly and completely the first time around. Plus, hiring someone to help you means you don’t have to worry about coming into contact with a rat — or the unpleasant task of disposing of them. The professional may also speak with you about sealing up any cracks in your walls and ceilings. We also suggest that you get rid of any food that you have sitting out. Especially if you suspect you may have a rodent, remove food from countertops and refrigerate everything possible. Need Help Stopping These Types of Rats in Florida? We hope that this post has helped you to better understand not only the types of rats you may encounter in Florida, but also why getting professional help is so important. Don’t put your health and the health of your pets and family members at risk for one more day. Instead, let us help you to solve your Florida rat problem once and for all. Reach out to us for all of your pest control needs. We even offer free estimates. Whether you’re dealing with rodents, bugs, or need your lawn sprayed, we have the solution you’ve been looking for. 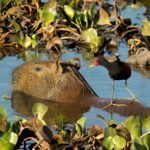 What is the Biggest Rodent in the World? commandtermite Beware of Bugs: The Formosan termite zone is spreading. commandtermite Flying Ant Day 2017: what is it and how to deal with an insect invasion? Fort Lauderdale, Pompano Beach, Lighthouse Point, Deerfield Beach, Boca Raton, Delray Beach, West Palm Beach and Beyond.